This article details a first-attempt at a soylent made from whole foods. Soylent (html) is a complete liquid diet created by Rob Rhinehart and his team that provides your recommended dietary intake (RDI) of everything. It has spawned a community of people who create variations on this theme to suit their own tastes and nutritional requirements. The approach taken here was to get close to the daily requirements of an adult male using whole foods, then adjust quantities to get something that also tasted reasonable. While Rob has been eating soylent almost exclusively, it's probably best to consider this recipe as a nutritious snack. Inspiration was taken from another whole-food soylent recipe (html) which would be sufficient except that I can't drink milk. The nutritional data used in this recipe was taken from both labels and USDA data, with comparisons and substitutions from (html). The recipe is only going to be as good as the data, no matter what it is. A Python program (py) was written to take a list of ingredients and return their combined nutritional content. A minimizing function was then used to optimize the list of ingredients. Specifically, it minimized the standard deviation of the nutritional content, using the RDI as the mean. A lot of experimentation was also required, keeping in mind ingredients had to be in reasonable proportions. The optimizer would often choose to put in far too many sunflower seeds, for example, instead of using a blend of nuts. It was also a little dificult when the nutritional data does not include things like chromium. For an adult male, this provides: energy 7.5MJ (9.8MJ recommended), carbohydrate 106%, fat 104% (mono: 56.4g, poly: 49.3g, sat: 20.2g, omega6: 10.3g, omega3: 4.0g, cholesterol: 0.7g), protein 102%, fiber 82%, chloride 71%, sodium 82%, potassium 54%, phosphorus 154%, choline 142%, calcium 118%, magnesium 104%, sulphur 65%, vitamin e 117%, niacin 84%, iron 91%, zinc 80%, vitamin c 100%, manganese 343%, vitamin b5 28%, vitamin b6 130%, copper 237%, thiamin 137%, riboflavin 84%, vitamin a 100%, selenium 99%, folate 96%, biotin 77%, iodine 125%, molybdenum 122%, vitamin k 92%, chromium 6%, vitamin b12 97%, vitamin d 145%. Note well: these quantities require a blender that can hold at least 8 cups. 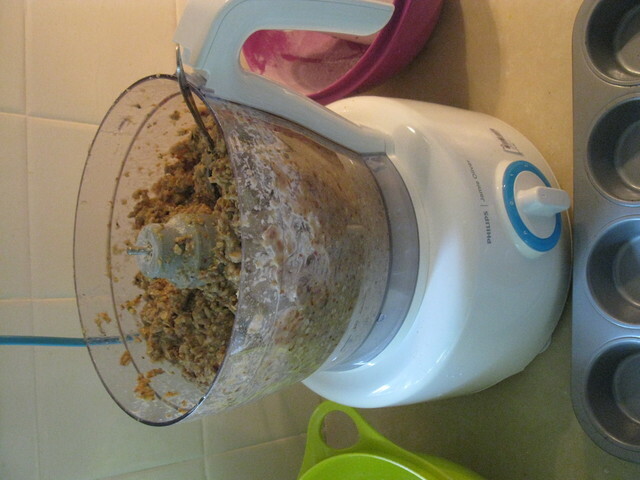 Chop the nuts coarsley in a blender and add to dry ingredients. Blend the wet ingredients and flavour. Slowly add the dry ingredients whilst blending so it is well mixed. Vary the amount of water you add to get a good consistency (not runny, not dry). 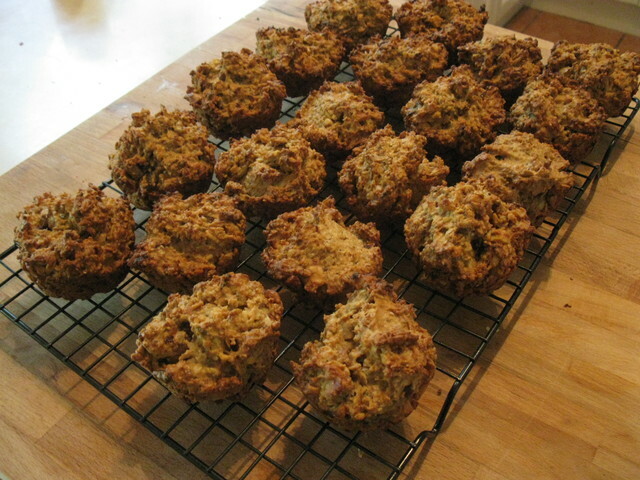 Spoon mixture into one or two muffin trays. Cook at a low heat, say 150C, for about 40mins, checking to see the nuts don't burn. Makes enough soylent for 3 days. If you live in a sunny spot, 10-15mins outside should provide enough Vitamin D, or you could take a tablet. Vitamin C powder can be substituted with Camu Camu powder, but it's more expensive. Spearmint was added since herbs are the only practical source of vitamin K. The amount can be reduced, but 30g was barely perceptable after cooking. Buying most ingredients from the supermarket, a day's worth of this soylent costs about $5.80. Nothing burned and I'm happy with the taste. It's halfway between a muffin and a nut bar. Very rich but not oily. Slightly sweet. Not gritty despite the eggshell. 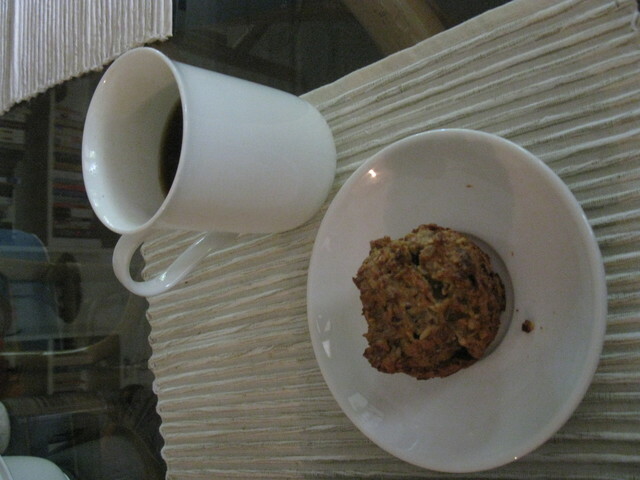 Two of these muffins would equivalent to a soylent "meal" which, thankfully, is quite tasty. They also go amazingly well with coffee. Carbohydrate requirement is roughly 120kJ per kg of body mass. Protein requirement is about 0.8g per kg of body mass. Note that the body does not store protein -- you must eat it as you need it. Fibre requirement is about 7g per 120kJ carbohydrate. Canola is used here because it's relatively tasteless and contains omega-6 and omega-3 fatty acids in a ratio of 3:1. What was nice about making soylent was getting a feel for just how much of various foods you're supposed to eat in a day - a handful of nuts, a handful of dates, half a cup of flour and so on. Also it gave a sense of completeness to the idea of diet that I've never found anywhere else: here, finally was the possibility of creating a food with everything (or almost everything) the body needs. use 2 tblsp of mixed spice (allspice, nutmeg, cinnamon, cloves) instead of mint. This suits the recipe better and also acts as a preservative. Use freshly ground spices if you can - they have so much more flavour. The blender becomes too full to properly mix in the ingredients. 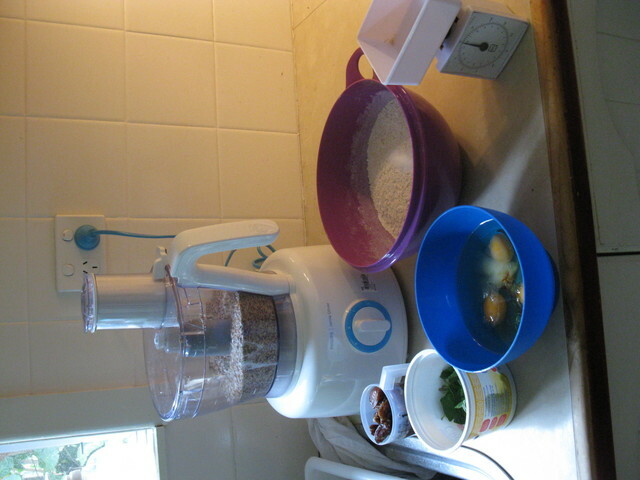 After blending the wet ingredients, remove them from the blender and mix the dry ingredients by hand. After a bit of practice, the recipe takes about 1.5hrs to make.